Budget friendly Ikea products make a great base for some amazing DIY projects. To inspire you, I have come up with a collection of Ikea hacks that turn a basic style into gorgeous rustic home decor. You’re going to love what you can do with some simple updates! I am in love with how East Coast Creative transformed this basic pine Ikea table into a fabulous rustic farmhouse table. 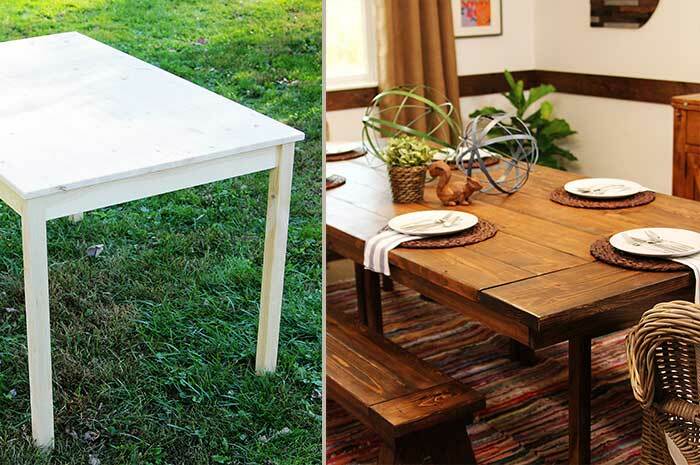 This Ikea table hack is easier to do than what it looks like! The added boards and beautiful stain color make this a beautiful and affordable addition. You can also purchase just table legs for a different kind of Ikea hack. You can also incorporate an Ikea dresser into a functional craft room table with storage. The dresser holds up one or both sides of a tabletop. This Ikea craft table hack by Addison Meadows Lane uses a dresser on one side to hold up a rustic table top. A simple butcher block island gets a little more style with paint and hardware. 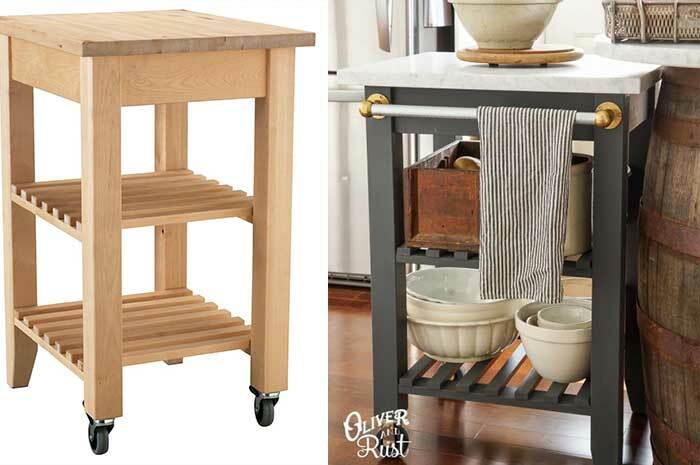 The Ikea kitchen island hack really stands out in the rustic kitchen of Oliver and Rust. Since the island was made more sleek, it really complements all of the rustic accessories. 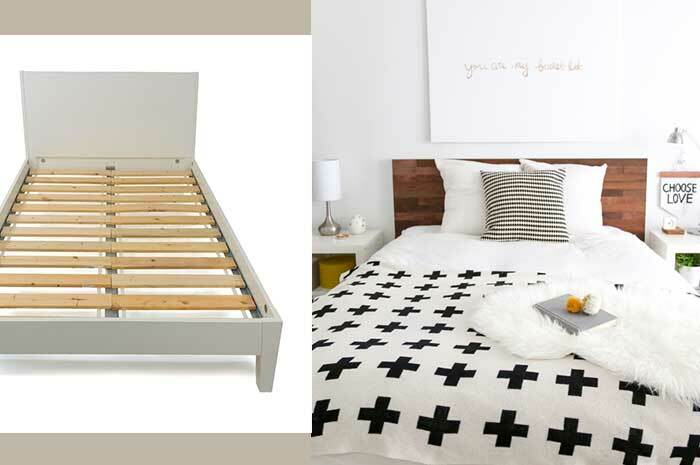 You can purchase a simple bed frame from Ikea for very little cost. To make the headboard really stand out, you only need to apply rustic stikwood! This is exactly what Ashley did at Sugar & Cloth. Her Ikea headboard hack makes a huge statement in her rustic chic bedroom. 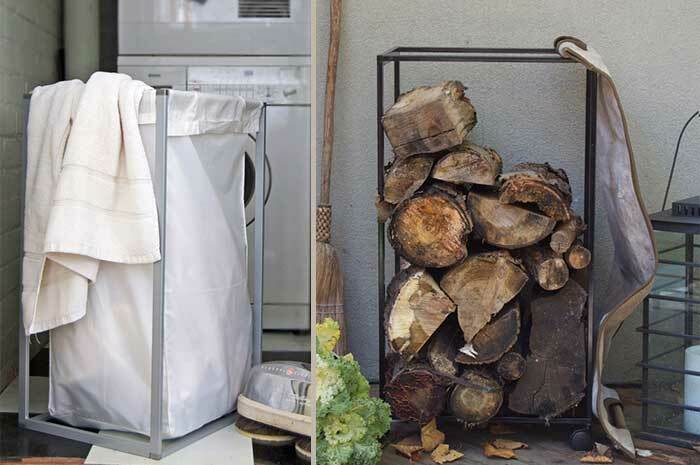 Firewood storage racks can be expensive to purchase but not anymore! All you need is an affordable Ikea laundry hamper and some paint for a quick and easy storage rack. The Art Of Doing Stuff came up with this great Ikea hack. 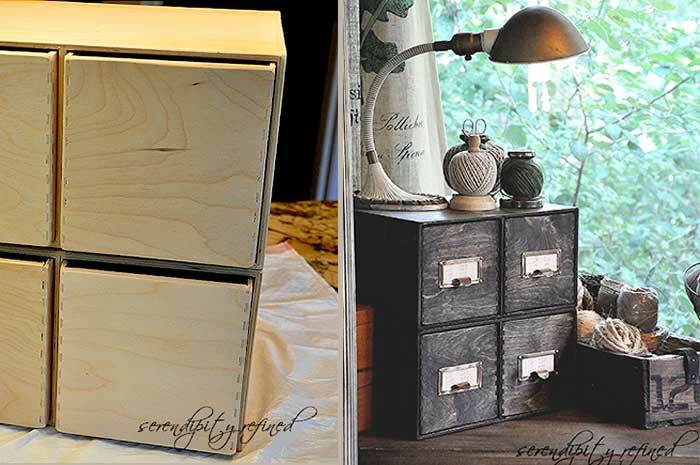 All it took was a little distressing with paint and vintage looking file labels to transform these plain drawers into rustic beauty. 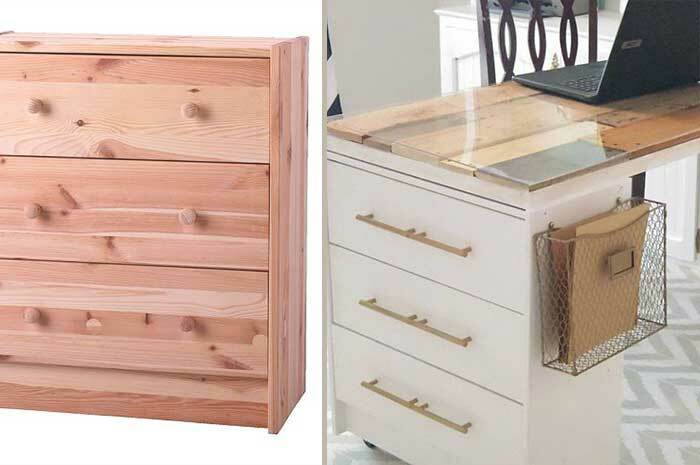 This Ikea file drawer hack will dress up any craft room or office. Small side tables can be used almost anywhere but can be expensive to purchase. 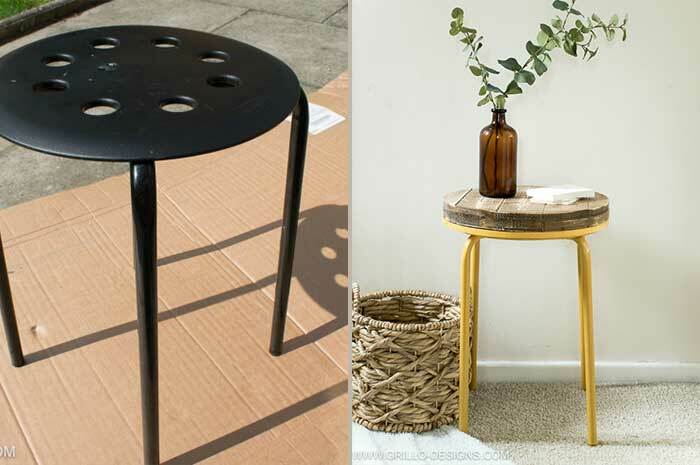 A less expensive option is to makeover an Ikea stool. Adding a little paint and a wood top creates a cheerful rustic accent. Another project that you may want to check out is my craft storage table made from an Ikea plant stand and an old drawer.